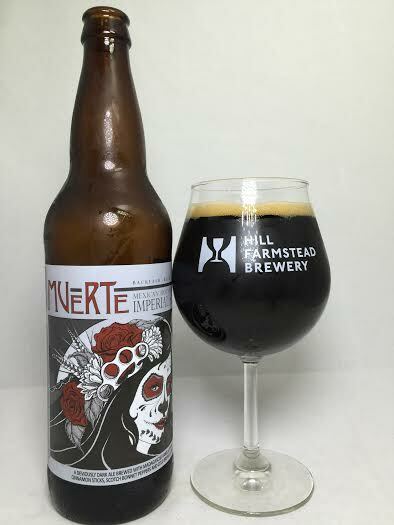 The "Mexican Hot Chocolate" style of stout has been gaining more and more momentum in recent years as breweries are quickly jumping on the bandwagon faster than you can count. Backlash has now thrown their hat into the ring with their own interpretation with this imperial stout brewed with cinnamon sticks, Madagascar vanilla beans, cold-brewed coffee, and Scotch Bonnet peppers. Pours pitch black for the most part, but I could see some dark brown on the edges when held up to the light. I got a finger of tan head on an aggressive pour. Subtle dark chocolate and coffee on the aroma. A nice pop of cinnamon and pepper skin and as it warms, the vanilla really comes out. It kind of smells like Nilla Wafers. The coffee is much more bitter than I expected, but I still like it all the same. The peppers are also strong, but not in spiciness, but instead with genuine flavor and lots of pepper skin. Cinnamon and vanilla are sadly lacking as after the peppers and coffee, this is tasting rather bland. I think the longer I let this sit out, the cinnamon makes a valiant effort with a a sprinkling of flavor on the finish, but still, vanilla beans are harder to find than Waldo in a pile of candy canes. In the beer's defense, the base stout retains a ton of roasted malts and subtle coffee influence. Mouthfeel is a tad bit on the thin side for a 10.5% stout, but still full enough to get the job done. The heat from the peppers isn't that bad and only grows stronger the more you take in. The chili heat lingers only slightly in the form of a nice warmth on the tip of the tongue and the back of the throat. No alcohol to speak of with just a touch of some lingering malts. This subgenre of imperial stouts still has not fully caught on with me just yet. I can't blame Backlash Muerte for not being a stellar reputation of the style since I am not blown away by the style itself, but I can still say that the components put into it did not shine that brightly. The peppers and coffee stood out, but I was hoping the cinnamon and vanilla from the aroma would be bigger on the taste. Anyone who likes the Mexican Hot Chocolate style of stout might find more than I did, but it just didn't do it for me this time.